Interested in experiencing Munich during Oktoberfest? 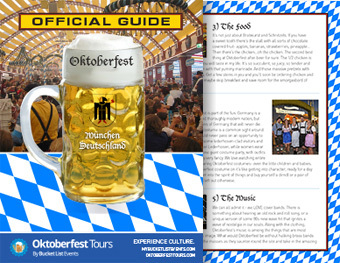 Learn about Bucket List Events all-inclusive travel packages for Oktoberfest 2019. Read up on hotels, festival activities, beer tent reservations, tours, and more! 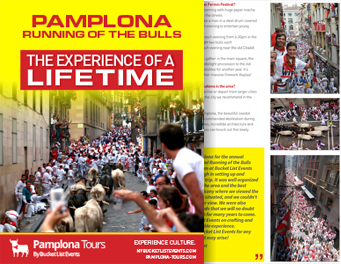 In our complete brochure for our Running of the Bulls tour, you’ll find all the details you need to know to get to Pamplona. We list our package details and pricing, as well as add-ins and past customer testimonials. Everything you need to know to experience this incredible festival! Start getting excited for the vibrant San Fermin festival in Pamplona, Spain, better known as the Running of the Bulls. 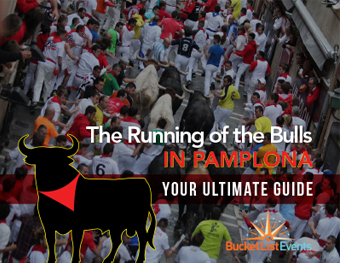 Learn about this history of Pamplona, the festival, and lots of pro-tips from experienced travelers. Your inner geek is calling. Bucket List Events staff has compiled everything you need to know to do 2016 Comic-Con San Diego like a pro. From hotels, to events, to costuming, this brochure will help you start planning your trip. This isn’t our first time at the races. 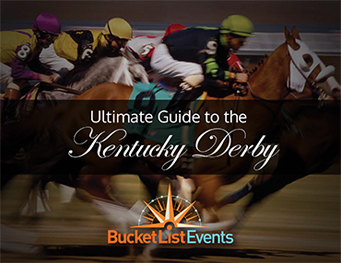 Learn how to have an incredible Kentucky Derby experience from the travel pros at Bucket List Events. The race itself may only last two minutes, but this guide will help make your entire trip unforgettable. What international events are on your Bucket List? We have a few suggestions. 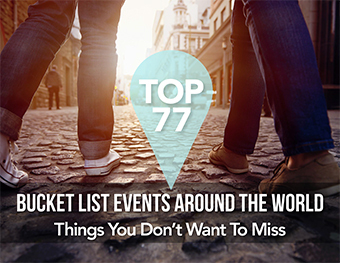 Read about exciting events all over the world that you absolutely need to see in your lifetime and start making plans to cross a few off your Bucket List.